When the weather starts to take a chilly turn, in those early days of pumpkin spice, football, and scarves, you can really feel it in the air. For us, that means lazy weekend days spent in the kitchen cooking up hearty cool-weather favorites for friends and family. Here at Home Chef we’re always looking for easy ways to add great flavor to to our meals without any extra work. One great way to do that is to use an unexpected ingredient, like beer. Whether you use a dark and roasty stout or a light and citrusy IPA, beer adds a complex and malty sweetness to stews, soups, and braises. And don’t worry about getting tipsy – virtually all of the alcohol cooks out, leaving a great depth of flavor in the finished dish. Just as with wine, different beers pair best with certain foods. We love to pour a bottle of our favorite stout into classic beef chili, and use a lighter beer like a lager in a chicken chili verde. Try it in this Beef and Dark Beer Chili. Use a beer you enjoy drinking – if you don’t enjoy the flavor of it straight from the bottle, you’re probably not going to enjoy the flavors mingling with your dinner. Not sure how to best pair your beers? Check out our handy guide here. If you’re going to add beer to your baked goods (beer bread, anyone? 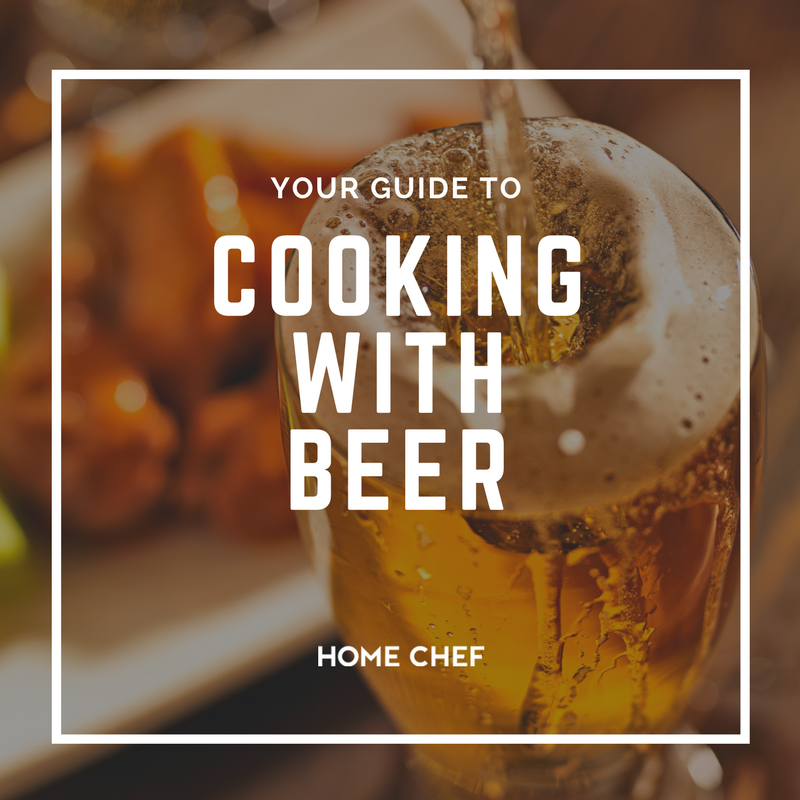 ), make sure the beer is at room temperature, just like your other ingredients. Try using a brown ale, like in this recipe for Honey Beer Bread. Most of all, keep it simple! Next time you’re cooking and the recipe calls for broth, try swapping in beer for a savory boost of flavor you’re sure to love. We’ll drink (and eat) to that!